Imagine if someone from biblical times were able to travel to our time and see all that we experience on a typical day. The technological changes would no doubt overwhelm them, but what would they think about faith among people, especially those who claim to be disciples of Christ. Would thy be inspired by our faith..., or disappointed? 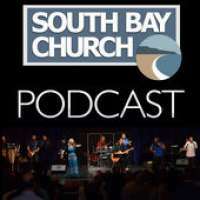 Mark goes through a fictional scenario of what this would look like in relation to the South Bay Church. Giving sacrificially is not always an easy thing to do. God and Jesus expect it of those that choose to follow the faithful path. Calvin and Elaine Johnson walk through their lives and how, because they were willing to give to God sacrificially, he blessed them in so many ways. By no means did they have an easy life, yet God honored their willingness to give as much as they could. God calls us to be stewards of our lives and his kingdom. Stewardship comes from both faith in God's plan and his practical purpose for us here on earth. The scriptures help us to understand and have faith in God's plan for being stewards of his kingdom, as well as it lays out a set of practical applications on how we maintain this. One of those areas is related to our finances and giving back to His Church, which is the topic of this midweek lesson. Andy Winje outlines how we practically implement this plan in respects to our budge and Steve Morici shows us the heart we need to have behind our giving and how God will always honor it. Repentance needs to be a regular part of our lives as Christians. However, we often don't look at in the correct way. Repentance must start at our core beliefs and carry through the whole process of trials, emotions, temptations and sin.